As a playwright, you’ve composed plays such as “Marie and Bruce,” “The Fever” and “The Designated Mourner.” What was the inspiration behind your works? WS: Well, that’s too difficult. I mean, the inspiration is my whole life and everything I’ve ever seen, everybody I’ve ever met, everything I’ve read. You know, those plays take in a lot of territory. The later ones are openly political, I suppose, and…you know, I’m a…I suppose I was born into a kind of privilege, and I really spent my whole life kind of either trying to escape that or coming to understand it. I suppose when I wrote that play called “The Fever,” it was really because of how much I despised myself and wanted to write an indictment against myself. “The Designated Mourner” is more about an authoritarian society, I suppose. I mean, it’s too hard to answer your question in detail. I read you wrote your first play and got involved in theater in 1967. What was it about theater that interested you? Well, I’ve always been attracted to theater. I was in a play in school when I was five. I played a shepherd in a Christmas play. I think it was the lights more than anything. The colored lights that turned the stage into the desert and we shepherds were huddled in blankets. I don’t know, this was the best thing I experienced up until that time. But then, I don’t know, as I got older, I did a play when I was nine and I think it was improvised, more or less and people laughed. As a matter of fact, even my fellow performers laughed. And that was also quite thrilling, I think. You, know, when I was ten, I wrote a more serious play at the direction of one of my teachers, and people had a big reaction to it and were very…treated me with greater respect. So I suppose those experiences left their mark really. And then when I was bout 12 or 13, I became familiar with the plays of Eugene O’Neill that reveals truth behind all the lies that we live in, and that was very thrilling. So I didn’t plan to write plays or be involved in theater until 1967, when it sort of hit me. Those were the early scenes I would say. I like that. Theater is something we focus on as well and is also a personal interest of mine. So it’s good to hear that. WS: Yeah, well in the old days, they used to do some of my plays in Baltimore. But I don’t know whether Baltimore has outgrown me or if I’ve outgrown Baltimore. I have no idea. Well, hopefully you’ll return to Baltimore soon. Well, personally, I’ll be in Baltimore this weekend, but whether my plays will be done there I don’t know! LB: Well, I’ll have to find out if some plays of yours are going to be done there, because I’m not from Baltimore, but I would love to see one of your plays performed. Well, some people get something out if it. Some people even like my plays. Some people don’t, but you might be one of the ones, we don’t know. I do believe I would be one of the ones who likes your plays. LB: I would be that one. In addition to theater, I’ve noticed you’ve voiced the character of Rex the dinosaur in the “Toy Story” series, Unkar in “Trollhunters: Tales of Arcadia” and Gilbert Huph in “The Incredibles.” What’s one thing you love about voice acting? WS: Well it’s, I mean…people have offered to me and I’ve been thrilled to accept it. Most actors are delighted to be offered a job doing practically anything, but being a voice actor is interesting because you have no one to inspire you really but yourself and the director to some extent. But in ordinary acting, you have other actors who are inspiring you and in a way, you just need to react to them and if you react, you’ll probably do a good job whereas in voice acting, you’re alone in a little booth and usually I don’t even see the director. He’s usually in some other town talking to me over in my headphones. And it’s kind of up to me so it’s rather fascinating. I’ve heard that a lot of times, actors are not always in the same studio together, even though in the film, it seems as though they are. You’re right. We don’t even meet each other. Also, when we did “Toy Story 3,” for some reason they brought us all together and we did meet, which was rather fun and rather interesting. But we didn’t record together. We only…I never recorded a voice part with another actor. Well, that’s interesting. I never even thought about that. Yes, it’s sad in a way, but I’m glad I get to do other types of acting where you actually meet other people. I don’t really like—let’s put it this way, my favorite type of acting looks very natural and doesn’t look like the actor’s working very hard. And when you’re acting with other people, ideally you don’t have to work at all. You just react to the other people as you would naturally. I watched that show when it was on. I was a teenager when it was on. You were very little, I think. LB: I was probably about 13 or 14. I was probably in middle school or high school when it was on. I watched it regularly with my dad. WS: Well, I enjoyed it more than most of the experiences I had in my life. I loved it because it was so ridiculous and fantastical, that I was so completely concealed and hidden by three hours worth of makeup that I could really lose all inhibitions and play the way children supposedly play. I don’t really remember playing as a child. I think the word always terrified me. Somebody said “go play” and I wouldn’t know what in the world they were talking about, or how to do it. But as an adult, playing the Grand Nagus, I could just goof off with a certain freedom, because it wasn’t me. I was so hidden. And I’m like anybody else. I can be self-conscious and embarrassed and that possibility completely disappeared on Deep Space 9. Also, the scripts were hilarious and wonderful and perfect, and I loved the dialogue that they wrote for me. I loved the costumes I was wearing, and the makeup. And also, the other actors were great. The other Ferengies. And of course, I was at that time too young to play my part. I was playing the leader of the Ferengies, a very old person. It would be more appropriate now for me to play that, but it was—yeah, it was a great experience; a privilege that most people don’t have. Well, for me as a teenager at the time watching the show, it was something I looked forward to seeing. It was so much fun seeing the characters and how they were portrayed, because they made it look so real. And as a sci-fi fan, that’s how I feel now. Uh-huh! Well, they look real up close too! I sort of believed it while I was doing it. It seemed very real. And then it was very strange. If you ever saw one of your fellow Ferengies without any makeup, that was odd. Almost disturbing. You almost didn’t recognize them without any makeup? You would not recognize them at all! Well it was a shocking experience. And I can’t describe it. It was—imagine uncanny creatures from another planet, and yet you knew who they were. It was very strange. The end of the day would be very strange when people’s makeup was removed and you catch a glimpse of them. LB: Wow! I wish I had had that experience then. As a thirteen year old back then, that would have been the best thing. If I had known you I would have asked permission to bring you along to the set. That would be fun. LB: I’m sure my parents would have been ok with that. My dad, to this day as a Star Trek fan, I think would have been fine with that. What advice would you give to a future actor or playwright? WS: Well, you shouldn’t really—you can’t expect to have a middle class lifestyle if you go into those fields, because they are very, very—well, I think they’re only maybe two playwrights who make a living as a playwright in the whole country. So, the odds are that it won’t be you. Certainly isn’t me. I’ve never made any money for writing plays although I’ve done it for fifty years. As for being an actor is concerned, I’ve have very good luck as an actor. And I have made a living and I even lead a sort of middle class life. But, some years I’ve had no work and made no money, and other years I’ve done better and so I have no responsibilities. I have no children and nobody that is really depending on me. And if they were, that would be absolutely terrifying. So, you know if you’re going to be an actor, you have to be prepared to—even if you are relatively successful, your life would be very unstable. I mean, it’s only a handful of people who sort of work as much as they want. You know, the people that you read about in magazines who say, “well, I’ve decided to do more comedies this year because I’m sick of doing dramas, or I’m going to do more dramas this year because I’m sick of doing comedies.” These are one in a hundred, thousand actors. The others are thinking, “my God, I wonder if somebody will offer me a job this year? I hope so!” So you have to be—if you really want to devote your life to acting, you have to be a complete fanatic. I mean I just had very good luck. Never planned to be an actor, but I didn’t ever decide to be an actor. I was offered a part before it had ever crossed my mind to do that, so I just had very, very good luck. And you could say I have slightly paid my dues by—you could say having less good luck in my chosen field of writing plays, although even there, I have had much, much better luck than most playwrights. I mean, most playwrights don’t make any money, but also, their plays are not performed. Mine have been performed, although I didn’t make any money from them. Well, I’m definitely grateful you wrote these plays, because you never know how you may inspire a future writer. WS: I’m counting on it. And I also have big plans for my plays after my death. I think they might be discovered. I don’t know, how could I know, but I think they might be. It keeps me—that thought keeps me going, to some extent. For those of us who are lovers or writing or theater, you never know. To inspire others is fantastic. Eugene O’Neal inspired me. It’s a beautiful thing the way those inspirations are passed down. You never know. You may have already inspired somebody. I hope I have, I hope I have. 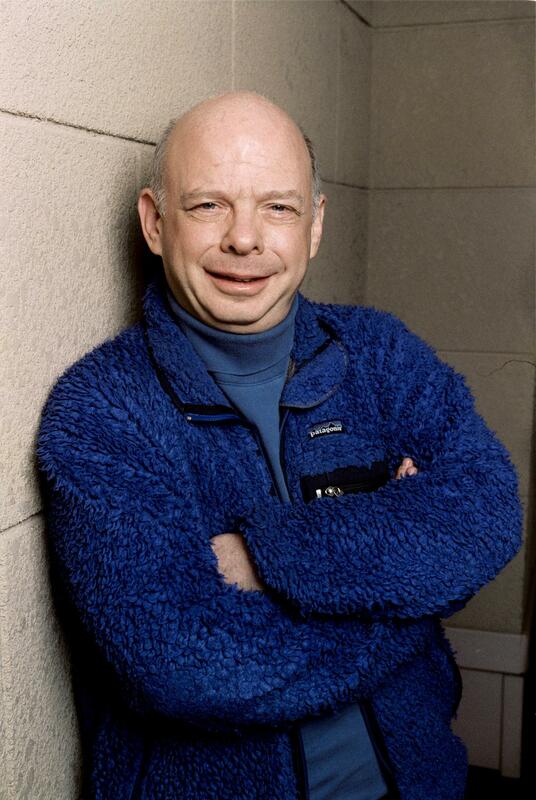 Wallace Shawn is set to appear at Farpoint in Baltimore, MD THIS WEEKEND (February 8-10) and at AwesomeCon April 26-28 in Washington, D.C. Get your tickets and your three day passes and come down and say hello. And make sure you check out Wallace on “Young Sheldon” on CBS and CBS Access.